- I'M GM Deycha, My regular name is Mr.Deycha Nittayaros. 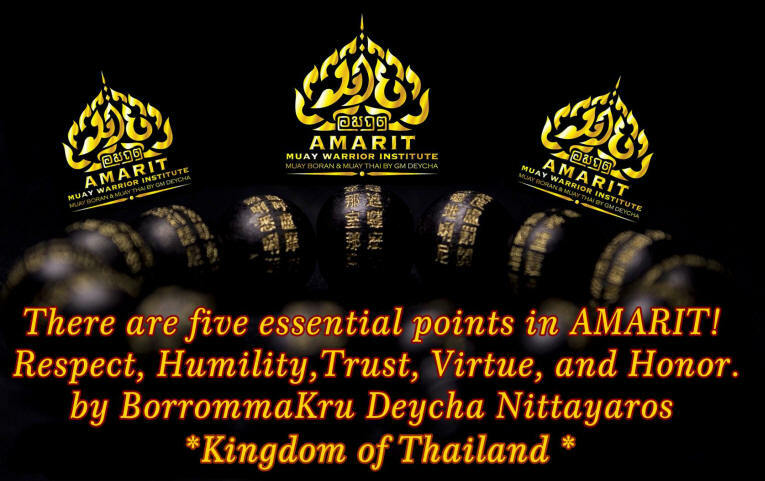 - I GM Deycha is a MuayThai and MuayBoran academic and expertise under the SPORTS AUTHORITY OF THAILAND. - Education : Bachelor’s of Physical Education & Sports Science : General English Certificate from Australia. 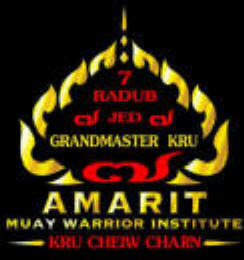 : Amarit Muay Warrior institute and Muay Thai professional camp license. : Muay Thai Promoter license. : I started to learn Muay Thai when was 6 years old and learn Muay (Boran) when was 10 years old. : learned Muay Thai since was 6 years old because there was a Muay camp in neighborhood. I GM Deycha village was located about 500 km away from Bangkok. (There was no electricity at that time up to 1975.) Anyway, there was a very famous Fighter named Panuchit Payaklumchee, who was a top fighter fighting both in Ratchadamnoen and Lumpini stadium as well as traveling to Japan frequently for the contest. This fighter therefore became the hero of the village and GM deycha own hero. That time a boy named Deycha(I GM Deycha) had a dream to be talented and famous like him. All of these motivated him to start learning Muay Thai. : The way of learning during that time was that, when there was a training in the Muay camp, a boy named Deycha would go to watch them. When there was some free space and equipment, a boy Deha would practice MuayThai with a child’s recklessness. Some other children in a similar age were also doing the same. At the end of each training day, the children would be allowed to match and fight wearing gloves. The kid’s fighting styles didn’t have many patterns and techniques, just using kicks, punches, knees and elbows as we could. At the same time, adult fighters in the gym would shout out loud to tell us and teach us how to fight. (However, I(GM Deycha) found out later that matching kids in a fight like this was a method used in selecting fighters. What the Kru Muay in the gym considered were courage, strength, and potential to be trained for a great fighters. I(GM Deycha) must have passed their tests because later, Panuchit Payaklumchee, my hero, accepted me to be his pupil. I(GM Deycha) was trained under his great care of teaching. Then, he sent me to a Muay Thai contest in many festivals since I(GM Deycha) was 9 years old. (which was not considered as a professional MuayThai, just a contest to be developed into professional fighter afterwards). Before joining professional MuayThai at the age of 14, I cannot remember how many fights in the festivals that I attended between the age of 9 and 13. There should have been over 50 matches. - GM Deycha’s MuayBoran Teachers. 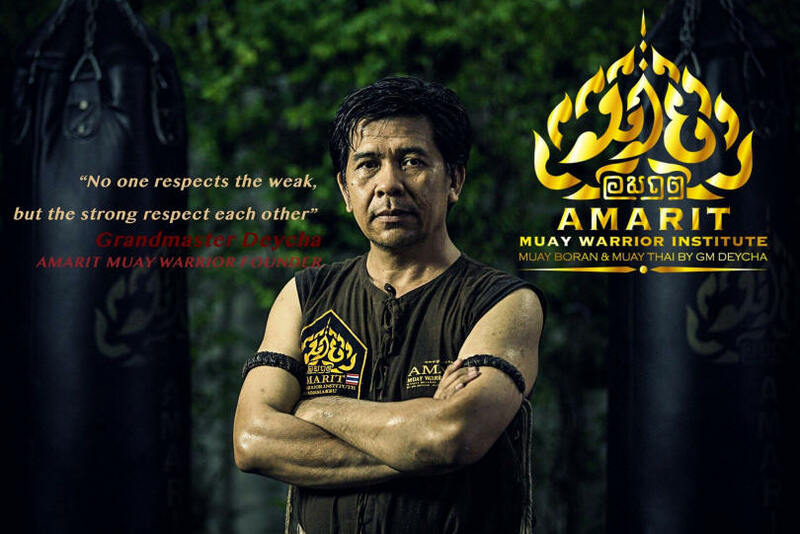 : An old guy named Kru Maak Muaypunlum would regularly come to watch the training at the village’s MuayThai camp. While watching, he would always criticize that some techniques were right while the others were wrong and how it should have been done. This caused the trainers and Muay Thai teachers in the gym to become very upset. Nobody wanted this guy to come around but they could not stop him. : I learned MuayBoran with Kru Maak Muaypunlum together with received the training from the village’s MuayThai camp. After training MuayThai at the camp, I would go to learn MuayBoran with Kru Maak Muaypunlum at his house. He would teach me until it was dark and until late at night if there was a waxing moon. : In 1984, I traveled to learned more about MuayBoran from Khun PaanTaarakrajadetch who was over 80 years old then and a former police officer respected for possessing powerful magic. He would always attack a criminal on his own at a very short range using MuayBoran and one red sword. When I met Khun PaanTaarakrajadetch, he asked me to show him the MuayBoran that I had learned from Kru Maak Muaypunlum. A moment passed, he said that I was very good and accepted me to be his pupil. 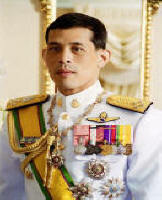 : Kru Maak Muaypunlum and Khun PaanTaarakrajadetch were Borrommakru of MuayBoran that cannot be found anymore. (Borrommakru is a word in the Old Thai language used for showing the highest respect towards a teacher. This word refers to a teacher who has a real knowledge and properly carries on the knowledge of the old Thai. )GM Deycha’s Muay Thai fight data & record. 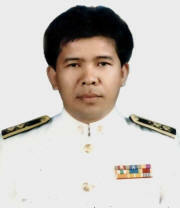 : I was a fighter fighting in upcountry areas only and never fight in Ratchadamnoen and Lumpini stadium. However, I have won some top fighters from Lumpini and Ratchadamnoen. This is due to some promoters who thought that I could win such fighters would match me to one of them and bet with a high amount of money. : In the university while studying at the faculty of Physical Education & Sports Science, I, GM Deycha, became a Muay Thai champion of the university. : My (GM Deycha) Muay Thai style fighting is professional Muay Thai mixed Muay Boran techniques.